A recently-found photograph of escaped slave, abolitionist and Union spy Harriet Tubman that was acquired by the Smithsonian is displayed before a hearing of the House Administration Committee in the Longworth House Office Building on Capitol Hill June 17, 2015 in Washington, DC. Auburn, New York, photographer H. Seymour Squyer made the photograph around 1885. 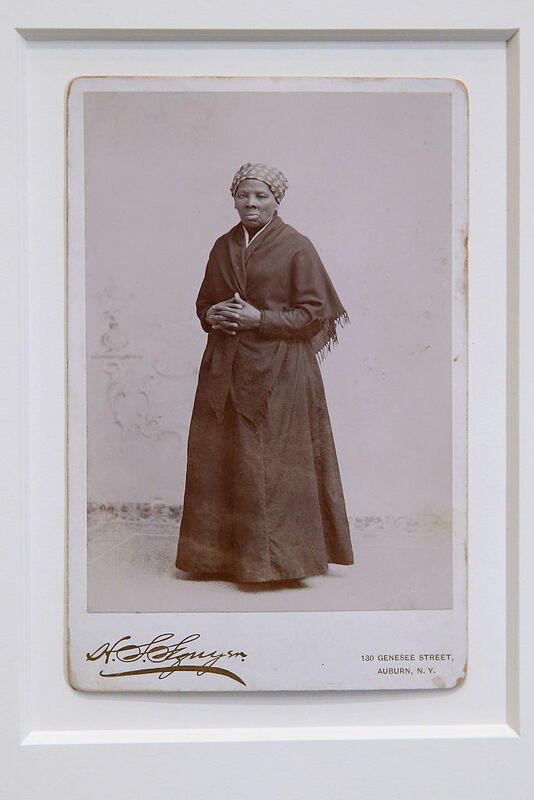 Born into slavery, Tubman used a network of antislavery activists and safe houses known at the Underground Railroad to help lead about 13 missions to rescue about 70 enslaved family and friends. 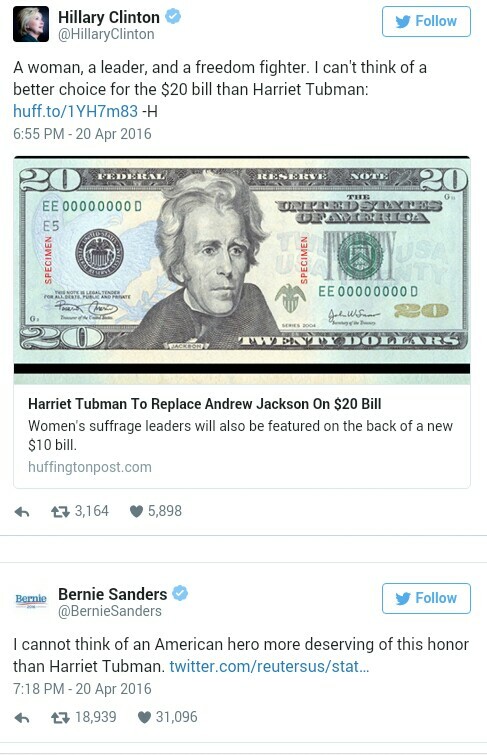 Forward to this day, United States anti-slavery crusader Harriet Tubman will become the first African-American to be featured on the face of U.S. paper currency when she replaces 7th President Andrew Jackson on the $20 bill. This was announced by the U.S. Treasury Department on Wednesday- she will also be the first woman on U.S. paper currency in more than a century! Harriet Tubman was born a slave and helped hundreds of slaves escape using the network of safe-houses known as the Underground Railroad. The women last depicted on U.S. bills were first lady Martha Washingtonon the $1 silver certificate from 1891 to 1896, and Native AmericanPocahontas in a group photo on the $20 bill from 1865 to 1869.